One of the best things about fishing is being able to share your experiences on the water with others. There is just something about the thrill of a catch that unites and connects us in a special way. This fact was reinforced when I had the pleasure of joining “Top Mom” Sweepstakes winner Simone Traverse and her family as they explored the waters of Estero Bay in Southwest Florida with Captain Alex Dolinski. Watching the Traverse family as they embraced an array of saltwater firsts was the perfect reminder of how fishing brings people together. 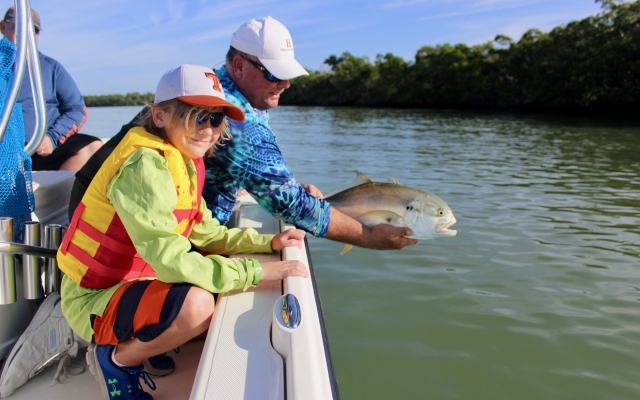 If you remember your very first fishing experiences, I have a feeling that you’ll want to read about the memories that Simone, Garrett, Max (age 10), and Mati (age 6) made while wetting a line Florida. 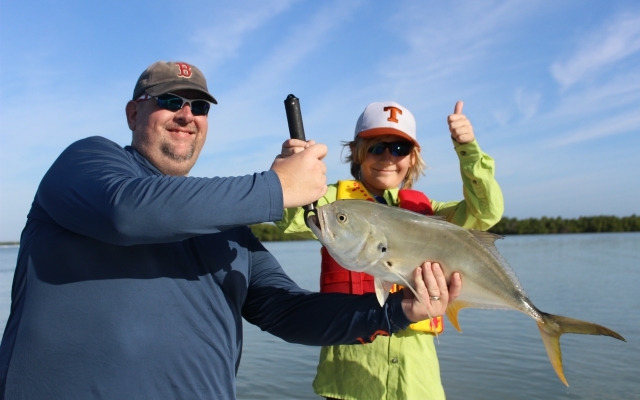 About halfway through the morning, a jumbo crevalle jack grabbed Max’s line and proceeded take a long, hard run straight into the mangroves. After a bit of coaching from Captain Alex, Max brought his huge jack to the boat. This was undoubtedly one of the most exciting moments of the day!